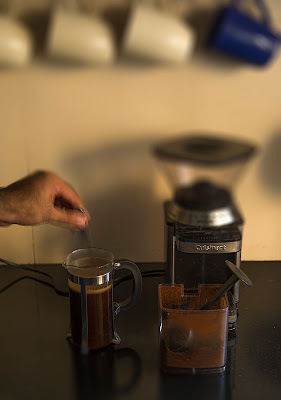 When I read on twitter that Aneesh was making his own Kahlua I was very intrigued. It sounded like a very daunting task and something I haven't done before. He promised it was easy and very generously agreed to share his recipe with us! So, here you go. Big thank you Aneesh, and as usual, I promise passion fruit macarons in return! Perhaps the most important step of the process. Deciding which coffee to use and then brewing it. 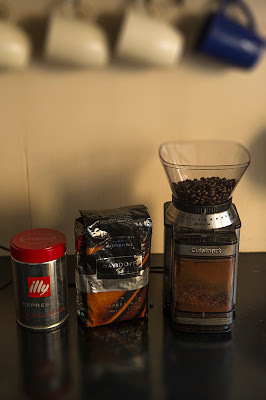 I personally used Davidoff's Cafe Creme beans, freshly grounded and then brewed in a French press. You can get arabica beans from Cafe Coffee Day or Natures Basket. 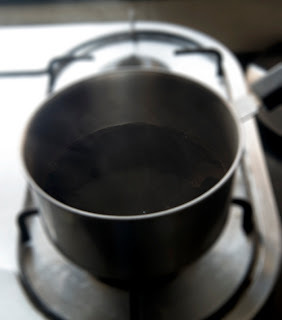 We need about 500ml of black coffee to start with. Add 150 grams of brown sugar, a few cinnamon sticks and 2 caps of vanilla essence. 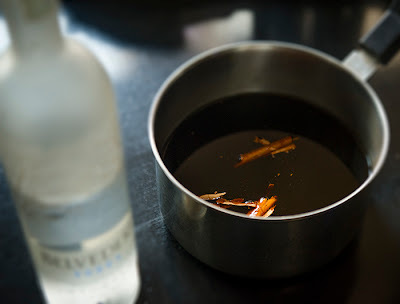 Add 300ml your favorite vodka! Not a good idea to use expensive vodka for your first attempt. Use something like Smirnoff or Magic Moments. Taste and review! Now would be the time to add more vodka or sugar, depending on your taste preference. Enjoy on the rocks! 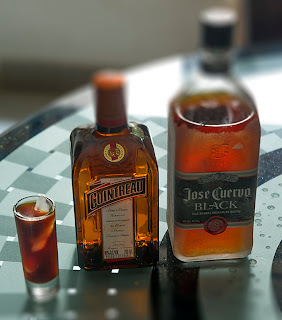 Or if you are in the mood for a little extra, either add some Cointreau for a brilliant orange kick or some Jose Cuervo black tequila for some spicy tequila kick. If you plan to add Cointreau to the Kahlua, you might not want the base Kahlua to be too sweet. hey do you need to store this in the fridge ? how long does it stay ? your buildings so that they produce more effective units and spawn them at a faster rate.